Today is August 25th and everyone I was working with has left Mount Shasta. Heather and Joy were on their way back to Washington and Judy arrived in Philadelphia in the early morning hours. I was feeling a tad unsettled with everything. 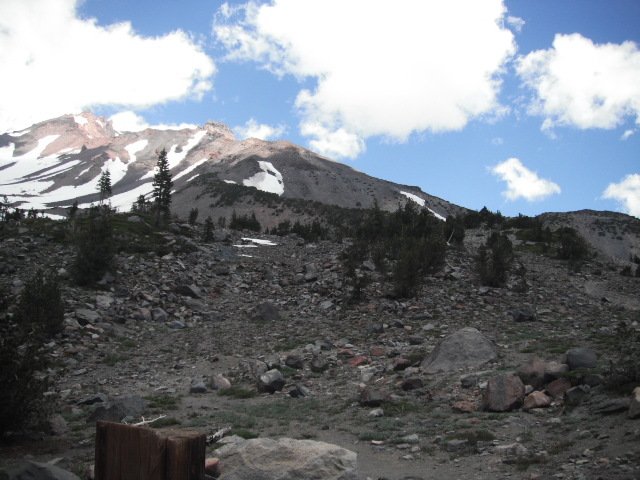 Ok, here I am, trying to do the work I have always done but yet inMt.Shasta. It still boggles my mind that I am not leaving on an airplane back East. But then, I have Isis, my cat with me so she is a gentle reminder that we traveled 3,300 miles across the country to arrive in our new temporary home. Don’t tell her it’s temporary…I think she is settling in very well now. Since Heathr and Joy left, Merlin has been communicating with me psychically. They had such a wonderful interaction with him on the physical plane and I so wished that for myself. Of course, it is never that way with me. If I do meet any of the masters, it is but a fleeting moment of recognition. Why would they project themselves into body when we can communicate otherwise, is how I feel at times. The night before I had experienced a very bad night. The panic and fear was enmeshing me about my financial situation. I have bills to pay and my mind kept going into that space. Lord Adama was so sweet with me before I fell asleep. I was in this half-in and half-out space and I knew they were working with me. The next moment, he said, “get in the shower.” Of course, I questioned as I was already in bed but he said they had been working with me and it would assist. So I did as I was asked and what a relief. The tears completely stopped and I felt renewed and refreshed. I was back into my higher consciousness and the mental thoughts stopped reeling around my head. I slept very well. I awoke to hearing Merlin saying “Please come to Castle Lake today. It is very important and you will be glad that you did.” I always do as I ask so after I did the work I felt was needed, I found myself on the way to the lake. It’s about a 10 mile drive past Lake Siskiyou and then up the mountain. It is beautiful to just drive through the forest and the trees. There is such a history here that it swirls around you and makes you feel the serenity that you have been searching for. 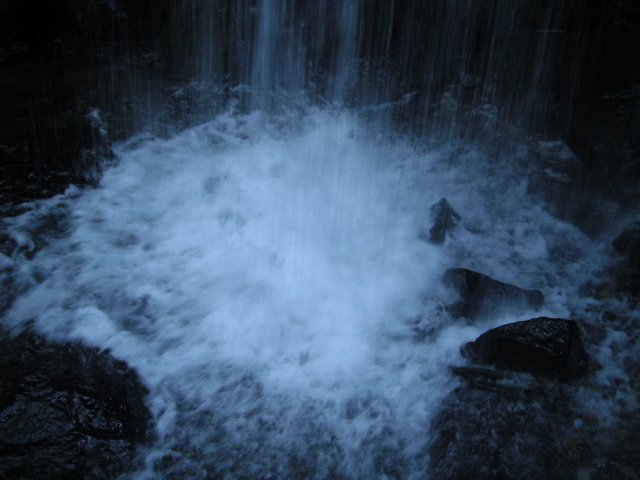 Upon arriving at the top, I found a space to go into the water which was different from where we were before. It was very shallow and difficult to get into the water. I swam a bit around the lake and then met a woman named, Karen, who had just bought a vacation home with her family. A very unawakened woman for sure but she was open to listening to what I do. Somehow I feel I was supposed to interact with her. I then got out of the water but knew there was something more. I went back to where I had my towel and belongings and found a rock to sit upon. Merlin came through to me to explain about the energies of Castle Lake. It is a left-over glacier but legend has it that it was a castle at one time. He was telling me that the healing quality of the water is very powerful and it is a special place of magic. There was then another voice speaking also and I asked who it was. They said, “Should we tell her?” Merlin replied, “Of course.” The voice said, “I am Guinevere,” with a little giggle. I was not surprised that they were there together and they told me that it was their portal in the middle of the lake. They explained to me where it was. There is a boulder in the middle of the lake, well not quite in the middle but towards it. We had swam over it the other day. They said it was a bit beyond and to the left of it. They asked me if I would swim out there. It would assist me greatly. Of course, I obliged but knew I wanted to change where I went into the water. I walked around to my right where we had entered the water’s edge the other day. It was much easier to maneuver. I took the “noodle” so it was easier to swim although I am a very strong swimmer having grown up on a lake. It did not take me long but there were spots of springs that were very cold. It was actually warmer where I was previously. I reached the small boulder out of the water and they directed me to the spot where the portal was. As I looked down into the water, I noticed the bottom looked quite different. I could see the opening of a portal physical as the water was darker in a circular fashion. I had not noticed that before but of course, I was not looking for it. As I became enmeshed with this portal, I felt a surge of energy enter my right leg. I still have been having issues with inflammation since I arrived in the veins. I have been working with it through herbs, healing with Dr. Lorphan (Inter-Galactic doctor), and various energy but there still seemed to be something that needed to be cleared. I knew it had to do with my walk out here and I held in a great deal of stress before and during the trip. Joy had worked with me the other day and it turns out I did have an attachment in that area which I was relieved to know it was not all me. It did not sit right to think I caused the whole event myself. It is not at the tail end of it and as I swam in this area, I started swirling around and feeling a beautiful tingling sensation go up into my toes and into the affected area. If I had not experienced it myself, I probably would not be so animate about this event. It was absolutely amazing and I could feel both of them swirling around with me. I felt like a child in this huge body of water just feeling the magic weaving in and around me. Merlin told me that I should return in a couple of days to continue with the healing but there would be dramatic improvement. I looked at my leg out of the water and the redness was completely gone. I then started on my way back to the shore line and I started swishing my hands through the water saying “I swish away all the pain in this leg, all the worries within my mind, and all the insecurities of not surviving financially while doing my spiritual work. I am enlightened being and I will create the healing and abundance within me as I am an alchemist of the Light.” As I did this I was twisting and turning and felt everything all leaving me. I could feel Merlin and Genevieve smiling and laughing with me. It was a beautiful moment for me which I will never forget. I arose out of the lake and have finally found the right pathways to walk through the rocks so it is easier without falling all over the place. Of course, light shoes help to have on your feet while in these lakes. I dried myself off and started walking back to the car in the parking lot. I met this very interesting gentlemen which definitely was deja vu for me. I remembered meeting him before although it was a different setting. I am just wondering if I did see him last year when I was here as the conversation seemed very familiar to me. His name was Louis and he was taking off a wet-suit. He seemed to be quite a swimmer and I am sure it helps in keeping you warm. He was very intent to want to talk to me so I stopped and did so. We had a conversation in which was very different. He told me that the angels and the masters came to him to be a spokesperson to tell others what was going to happen in the world back in the 70’s. He said he did so but they did not believe him. He went on for quite awhile that he was saddened that no one understood him and that he did not want to be here any longer on Earth. I just very calming stated, “Louis, you cannot help it if they don’t accept what you had to say. You gave the message and then you have to let it be up to them what they do with it. Sometimes silence is the best way to be.” He looked at me and said, “You know, you are exactly right.” We parted and said maybe we would meet again sometime. I walked to my car and said, “OK, guys, what was that all about.” I heard one of the masters say, “I think he just met an enlightened being. This time it was you showing someone the Light instead of you receiving it.” I thought to myself, “Wow, how things have changed.” I thanked the Universe for that lesson. I had received in the lake and then shared with someone else. Everything was in balance. I came back to the cottage feeling so absolutely wonderful. The leg is better but still needs more healing. I am now finally feeling I can get back to my exercise routine once again which will be great. I am so thankful for who I Am, the gifts that I have, and the connection with all of the Masters. What a life I have created. I couldn’t have wished it any more beautifully than I have. As an extra note, when I got back on my computer, a client who I just had a session with that morning had sent me a substantial donation. She felt she wanted to express gratitude due to the work we did together as she was so enthralled with the energies she received through me. This was a gift beyond the session and I said, “I have create this and it feels wonderful.” Now I could fully relax in this moment and that is all that matters ~ living in each moment as it comes. Castle Lake is absolutely amazing and so very beautiful. We were so excited that we were ending our ceremonies in this gorgeous spot. We had planned to arrive around noon as it was Sunday ,and we knew it could be crowded. Crowded was not the word. People had been camping for the weekend and finding a parking spot was a challenge. But we made it and walked towards the water with all of our gear. Of course, we wanted to use the “noodles” and had extra for Heathr and Joy. Well, they had a hard time finding the road to the lake so it was some time before they arrived. But it seems the crowd was leaving and the parking was much better. We ended up parking right next to each other as Judy moved my car. Everyone was excited as we entered the waters. We had all gathered together ahead of time to reflect once again on this journey together and what it now meant to each of us. The water was cold but not as bad as the river the day before. You would find different areas in which the springs were cold. It is very different in Castle Lake because of the rocks and trees that are actually in the bottom. Wearing shoes is a definite plus. Our Earth Girl, Heathr, of course, was barefoot. I would expect no less from her. Judy had my camera as it was water-proof and the pictures were absolutely amazing. With Judy’s promptings, we swam all the way across the lake which took as at least an hour as we were hanging out on the “noodles” admiring the view of the rocks, the mountain, and the beauty of this lake. It was a glacier and a long time ago a Castle. It truly felt like it. Merlin’s energy was everywhere along with many other frequencies. It was just a pleasure to sit back and enjoy the ride so to speak. Of course, it was windy and a bit of a current, so it wasn’t always a ‘joy’ ride but we all enjoyed it immensely. On the way back Judy decided that she was going to follow the edge of the water along the rocks and found herself in a vortex of energies. I knew there was a vortex with a waterfall but was unsure where it was. She said she kept getting pulled into it. As she was doing her thing with the portal, we were swimming back to our original position. Joy is very athletic and was way ahead of Heathr and myself but the conversations were absolutely enlightening. We finally arrived on the edge of shore and I will tell you, it was challenging standing up. My knees and legs were so weak from all the movement but what a glorious moment. Judy finally arrived as it took her a bit more time as she swam around the edge. Her pictures are phenomenal which I will share. We dried off and found a special spot off the beaten track to share food and finish our ending ceremony. Part of these energies was to help others to raise their vibrations and share their gifts with each of us. I always love this part as I am receiving in this mode. First, we talked about our experiences, how we felt presently, and the integrations that were taking place. I could tell by the look on each of their faces that their Light was shining brighter than ever before. We finished off the evening by doing the Cosmic Oneness right there on the mountain. I recorded it but of course, we did not do a call. That was amazing also. So many beautiful moments of light, joy, and love with each other. Joy and Heathr decided they would camp there and I knew it would be a wonderful experience. I will wait for them to tell their story which I will share. It is amazingly magical. We decided we would meet for breakfast at the Bear Diner the next morning for our last connection together. We met for breakfast and did they have so much to tell. They had a magical time and fully within their power. They met an interesting gentlemen whom I believe is Telosian as he came into town with them. Judy and I were able to meet him after our breakfast and he definitely represented the fifth dimensional energies being embodied. We then went downtown together and shopped in our favorite place, “Soul Connections”. A store you do not want to miss when inMt.Shasta. They have everything you would ever want on a metaphysical journey. We then parted with two wonderful friends and reconnection to our soul sisters. In summation of this program I am very pleased in how things transpired. Having Judy here for the first one was an absolute gift and she helped me to mold it into what we thought would work best for everyone. Each of the energies on the different days represented what that day would entail and everyone walked away with a new sense of purpose with their inner beings fully accelerated. Of course, it takes some time afterwards to fully realize what the integrations create within one’s life. We all walked away pleased with the process. As an added note, I will be in Sedona for the 11:11:11 Emergence and plan to do a similar program. Of course, it is different as the energies are not the same but stay tuned. If you are going to be there, look me up. I will be presenting at the event for the ten days. Today was the day that we would connect fully with the Lemurian energies and have a visitation to Telos with the help of Lord Adama. Judy and I had already picked out our location which was about 15 miles south of Mt. Shasta in Upper McCloud Falls along the McCloud River. We drove down 89A and then through the forest. There are three levels to McCloud Falls and each one is just as beautiful. The lower level is very crowded with a picnic area. We chose this spot because it was off the beaten path and knew that St. Germain’s energy was very prevalent in this area. He was everywhere through the trees, the sun, the land, and the water. This spot is located several hundred feet above the falls. 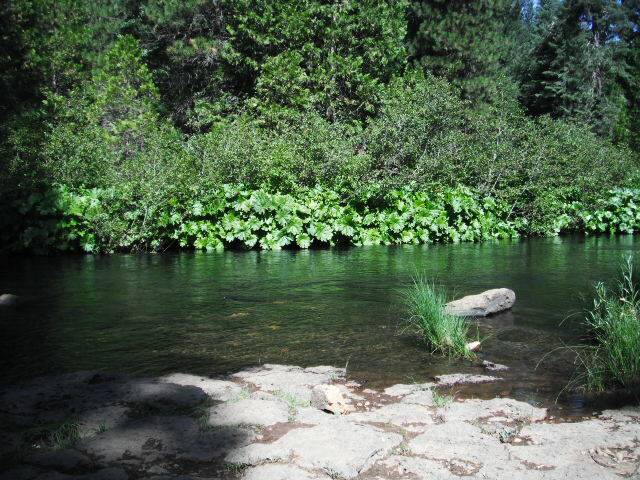 It was nestled in the trees with rock formations so that we could sit together in a semi-circle facing the water. The river at this point is not very wide so it almost looks like a stream. The current is not real strong but definitely movement in the water. 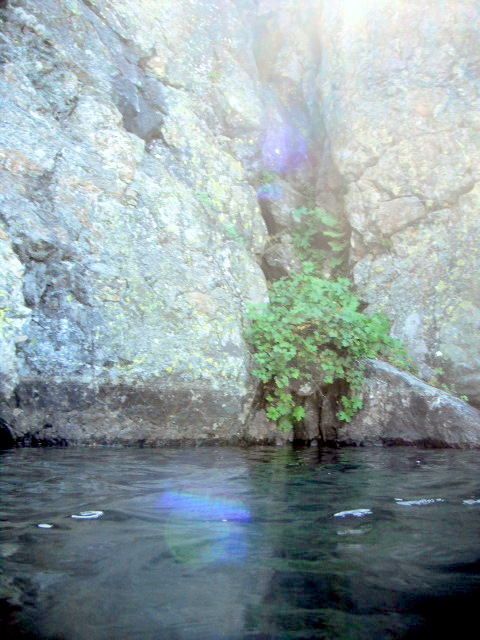 As we sat on the rocks, we could see a portal in the water. The foliage on the other side was very representative of tropical leaves which seemed to be very representative of the Lemurian and Telosian environment. As we connected with the energies of the Earth and Sky, all of the Team of Light was standing around us in the frequency of light. Each of us shared our intentions, what we had learned and walked through in the last two days. It was a wonderful moment of reflection. Again, the energies were flowing through me as I am no longer a channel but a conduit of the frequencies. They are so much a part of me especially during the ceremonial event. Everything was silent around us as I stated the Rays of God for everyone to intuit. The focus of this ceremony would be to work with Lord Metatron for the Golden Flame and actualizing our relationship with him. This is a phase that many people have not achieved to fully intuit the accessibility of the frequencies of Lord Metatron. This phase was to help individuals to fully access their I AM Presence within the 12th Chakra on the 4th dimensional chakra grid within the Heart area. I included the energies of the Mother Earth, Father Sky, Grandmother Moon, and Grandfather Sun as well as the animals represented in each of the directions of the Eagle, Coyote, Bear,Buffalo, and the Raven representing the magic of the circle. While I stated these elements, I drummed through the process to allow the frequency to be integrated within each individual. The visualization included a complete cleansing of the Physical, Emotional, Mental, and Spiritual bodies to prepare everyone for the journey we were about to embark upon. We were in Oneness with the rocks, the flowers, the water, the air, the sun, and the essence of calling upon the Spirit Keeper. We then were greeted by Lord Adama who would guide us into the Telosian energies. We entered the portal of light in the river via our Merkabah vehicle as one essence. The portal became an elevator and traveled into the core of the mountain. We were guided to move into a vehicle that would travel through the tunnel to arrive at our destination in the City of Telos. We were then guided into an area of Telos I have never seen before. It was a glass enclosed area with foliage all around us being greeted by the children of Telos. It was an exciting moment. We then were taken up to the Temple of King Ra and Queen Rama Mu. As we entered the temple, we were guided to an amphitheatre where we were greeted by many Telosians. The energies were highly emotional and very welcoming to us. All of the Ray Chohans and the Team of Light were there to greet us. We had a ceremony with each of these beautiful beings and each individual was greeted by a Light Beings, Ascended Master, Inter-Galactic, or Telosian that took them to a special place. They were shown a special area that was in their heart and remembrance. They worked on any issues that were holding them back from the integration of the three-fold flame of the Male, Female, and the Golden Flame within. Each individual was given the opportunity to move into this space to receive this Frequency of Light. Each participant then was given a special message from Lord Metatron about where they are and how to get through the obstacles that may be stopping them from doing so. He then took each one separately into a special portal to receive the attunement of the Three-Fold Flame. It would be up to each person if they were ready to full activate it depending upon where they were in their pathway. 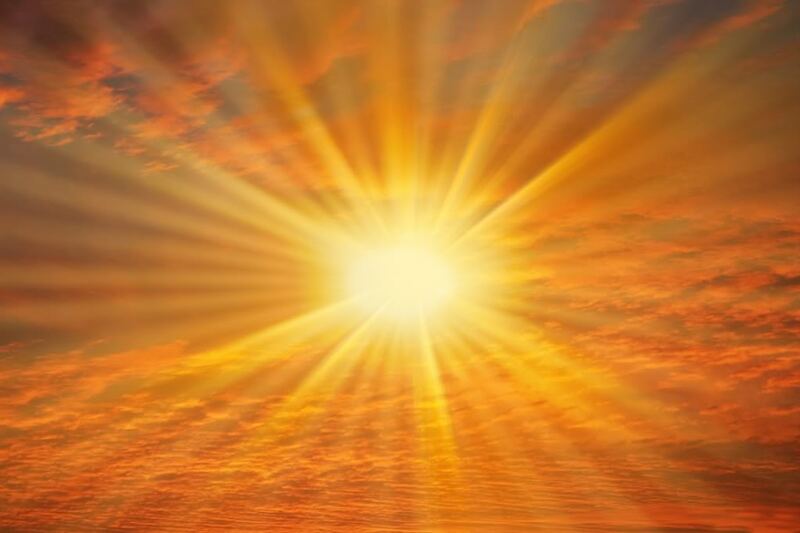 It was a golden opportunity to receive the Essence of the Golden Flame, and to be fully connected to Lord Metatron on a physical basis forevermore. We were then acknowledged by Lord Adama and the entire hierarchy of the Inner Earth to fully become one with each of them as we merged our energies deeply and never to be removed. We were guided out of the amphitheatre, through the glass building, into the tunnel, through the portal as we came back to our original space by the river. Everyone had a different experience but it was an amazing moment for each of us, including myself. I was acknowledged in ways that I never thought possible. We then all immersed ourselves in the freezing cold river so that we could all feel renewed and rejuvenated. The water was swift and cold is not really a good word. Beyond freezing as if the snow had just melted in front of us. I was very proud of everyone as they got into the river. I probably complained the most, and I am usually the first one in. singing as we found a beautiful stream that was coming from the snow melting on top of the mountain. We were in Lower Panther Meadows. I had traveled here last year when Saint Germain and Lord Adama appeared to me. We sat on this long log connecting silently and then just conversed with each other processing what we had experienced earlier. We spent an hour or so there and decided it was time to move up the mountain once again. Jocelyn and I had a wonderful discussion as Judy and Heathr were conversing. It was a beautiful moment and even more special when Jocelyn announced that she was now going to be called “Joy”. Jocelyn means Joy and she was ready to honor that within her. I thought that was so wonderful for her to fully acknowledge her inner essence of Joy. Judy and I parted as we made plans for our last excursion at Castle Lake the following day. I truly was looking forward to this event. We had decided that on this day I would work with Heathr and Jocilyn private as Judy had a special hike she wanted to travel. We had done this together previously and she was anxious to go further than we had made it. That was fine with me. The mountain is strewn with lots of snow patches as the snow hit hard in March and the road was not fully open until middle of July. It was interesting to walk along a path not far from the parking lot and see the patches of snow. Judy’s pathway was much more challenging in that realm than myself and my two companions. We walked together for a short while and found a wonderful area with several rocks in which we could sit and talk with one another. My goal each day was to make sure their intention was very clear. I asked how each of them was feeling after our cleansing and earth connection the previous day. Both of them felt wonderful and were ready to start the next phase of their journey. As I started to command the 22 Rays of God, I had no idea of what I was about to bring forth. It is so typical of my work presently and is exciting for me to realize that I am bringing in different aspects than my physical mind thinks she is doing. I love it to know I am tapping into a whole new aspect of myself. I found that I was actually giving them a chakra balancing like I would in a healing session but without the avenue of energy work directly upon each of them. Mahatma Gandhi had given everyone their own Golden Machete and it was another surprise of what happened next. I came to the realization that each person can use the golden machete for their own personal healing within the chakras. This is exactly what we did. I talked to each of them separately as we were sitting in a semi-circle together. I asked them what their chakra felt like and did it represent the color with a luminosity. If it did not, I had them use their own machete to pull out the debris and actualize the positive energies. We then intuited the Cosmic Ray associated with each of those chakras. We traveled from the Root area moving up the chakra column until we connected with the Crown. We then intuited the 8th Chakra of the Thymus to be fully active and I assisted in helping them to ground their higher selves fully within their body. Both of the ladies had no problem in doing this. Heathr was much more adept and I knew her higher self was already within the physical; Josilyn was a little bit behind but she truly felt the difference. I then connected with Lord Melchizedek to help each of the ladies on their initiation levels. It is important for this program to understand where you might be in the initiation phase because it is an acceleration pathway. The goal is to have individuals intuiting their I AM Presence fully within the body. Lord Melchizedek and myself shared with each of them where they are, what areas needed to be worked on, and how they can best get through the process. They were then ready to move onto their own space and connect with the magic of Shasta and all her glory. We separated for about an hour. 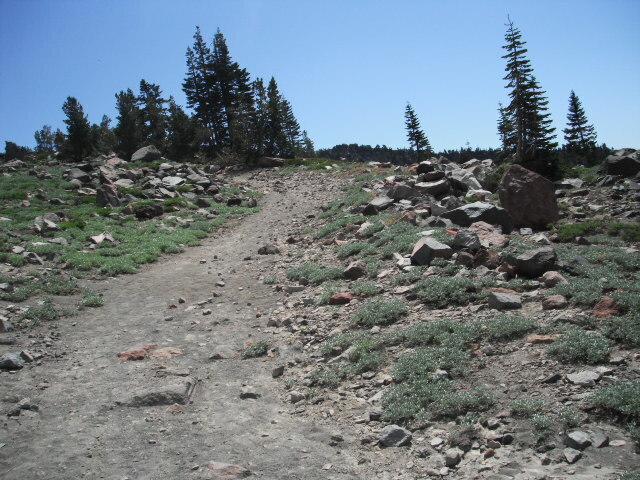 I traveled up the path and then towards the right behind a group of boulders. There was a special clearing which was wonderful and I felt it was my space. I carried some of my sage and laid it on the ground offering my prayers of gratitude. The air was crisp and it was a bit cloudy at times but the sun was shining brightly. I also took time during this program to work on my internal issues. I really felt it was my financial abundance now that the unemployment had finished and to be fully responsible on this pathway to create the funds for my life. Previously, I always fell back into the corporate world and I know for a fact that if I was still in New Jersey, I would be temping right now. The fear would have taken over and the pressure from family to get back on track like the rest of the 3D world. I am so grateful for my last position that I was able to do this work freely for two years. In fact the last trip with Judy is when I had just been laid off and I was elated. Talk about creating your own reality ~ I have lived it pretty fully in the last couple of years and reached out to others through the Internet to create the abundance through the calls and client work I have done. So I had much to be so grateful for ~ the guidance of Lord Adama and Saint Germain from last year truly helped me to arrive where I am today. 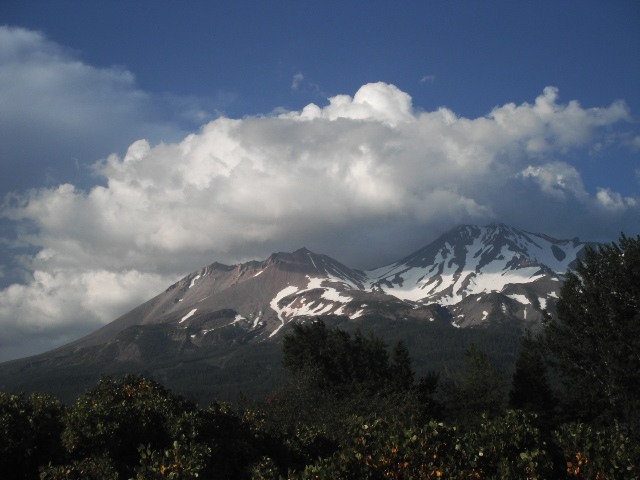 Yes, it is a bit scary being here inMt.Shasta, not knowing very many people, but I know I am fully protected. So as I sat on this beautiful rock sharing my Light onto the mountain, I heard “We are so happy you are here.” I say to myself, “they are happy? Wow”. That is all I can say to myself. I felt the freedom that I have been trying to acquire for many years of my life and know that I am not truly alone, they all walk with me in each moment, and know more than I do. I knew it was time to return so I packed up, gave my gratitude to the space, and trekked back down the mountain to our original spot waiting for the girls to join me. First Heathr arrived and then Jocilyn. They were both beaming greatly and had wonderful experiences. There is just something about fully connecting with All There Is here as it is returned to you ten-fold. We talked about their experiences and then Lord Melchizedek gave them attunement for the priesthood of remembrance as we were all together in Lemuria. That is really what all of this is about. The next step of the journey would be to receive the attunement from Lord Metatron the next day and they would be part of the Trinity of Lord Melchizdek, Lord Metatron, and the Mahatma (which is the 352 levels of the God Force). We walked back down to the parking lot together sharing and feeling the blissfulness within. When we reached our car, we saw Judy coming over the horizon. What synchronization as we all arrived together. Judy had some amazing stories talking about hiking across the snow with her challenges and helping the land masses where she walked. It was quite an adventure for each of us. 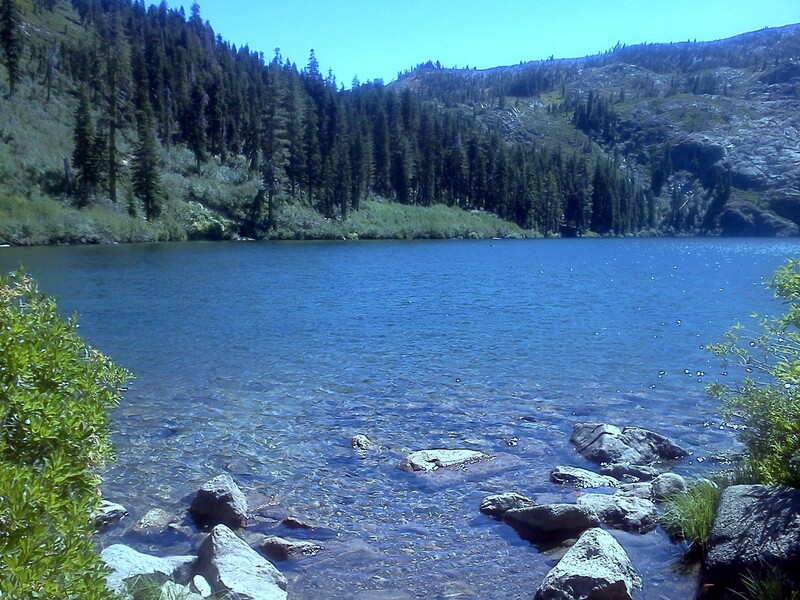 We dropped the girls off at their campsite in Panther Meadows and Judy and I decided to go to the lake once again. We quickly got something to eat and enjoyed the beautiful energies of Siskiyou Lake which was like heaven after the hiking that had been done for three hours. It was an amazing day and what a beautiful way to end Step 3, Connecting to the Magical Essence Within the Mountain and Within Each of us. I felt the need to write about the earth changes that have been happening this past week. It is very extreme and in these moments the hurricane is hitting the area where I have family and friends. There have been a large amount of Lightworkers doing their part this week especially with the hurricane. Being from Southern New Jersey and not far from the coast, the area will be extremely hit. But I believe there has been fair warning for a couple of days so people could prepare not only physically but mentally and emotionally. I do believe that the frequency of light that each of us is expending is truly helping in the process. This storm could have been much more severe although it is very bad. I believe we need to look at that element and have gratitude for the Lightworkers upon the planet. I also feel that this is a time of extreme intensity and that in order for each of us to get through these immense changes, we need to constantly raise our vibrations. As a vibrational master helping others to do so, we are also affecting the environment around us. We are in the midst of great change and these changes can come in various ways. Right now the East Coast is getting it physically and was previously hit with an earthquake just a few days ago. The predictions have been out there for eons of time and now is the time for each of us to be very diligent in our thoughts, emotions, and how we are affected by others. During these times of great challenges people come together. I feel it is a shame that we have to wait for this to happen. We are coming into Oneness so what does that mean? We only come together with love and compassion in times of great stress? I do not agree. If we are all going to survive not only physically but mentally, we need to realize tat we are brothers and sisters of the God Force. We may not all like each other, or being in each other’s soul family, but let’s help one another. Let’s take this time to raise the vibration continually. And , one may so, so how do I do that? One way is to acknowledge that each of us needs each other and speak from our hearts, not our minds. We need to be compassionate to each other just as we want others to help us. If we cannot love ourselves, how can we expect another to love us. It starts at home, within our heart, not the mind. We need to move out of the judgments and criticisms of others. Just because someone is different does not give us the right to speak about it aloud. Maybe you were in their shoes at another time and that’s where the compassion needs to be. I would love to see every individual to be as compassionate with others when there is no stress-related activity going on. Take the time by sharing a thought of love, a smile, holding a door open, and thinking those that serve us in stores and restaurants. When you take a walk, thank Gaia, Mother Earth, for support you and connecting to all elements around like the trees, the sky, the sun, the moon, and the stars. I see how the vibrational energies have shifted to help this storm be less than it really could have been. It started as a Category 4 and now is a Category 1. This proves to me that the light frequencies we are imparting is working greatly. Let’s now take this example and do it every day. Can you imagine what could happen? Many lives would be saved, energy patterns would shift into love, and we would all interact with each other in joy and expression within our hearts. I know I will continue to connect with these energies. I have been working very diligently assisting the East Coast right now because I know I was guided to move at the time that I did. I knew these elements would be happening and right now those Easterners need it desperately. Let’s not forget each other, hide in our houses and complain about the way things are going in the world. Love is the key even when you feel low and depressed about the situation you are experiencing presently. Take a deep breath and ask the Universe, God, or whatever your belief tells you to assist you. We must remember we are not alone and will never be alone. We are not being isolated but instead they are waiting by to receive our request. The Angels are here with us in each moment and I know for a fact that when I put out intentions for them to help these areas, they are there instantly but WE MUST ASK. Together we will unite, separately we will fall. 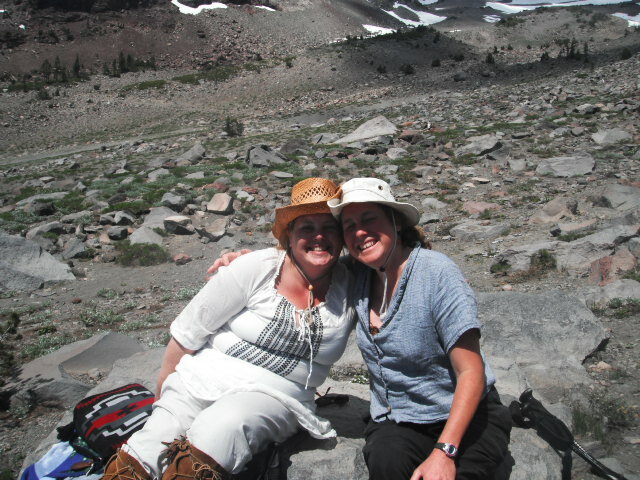 When I was thinking of coming to Mount Shasta, Judy and I discussed how I could create a program on the basis of our ceremonies that we experienced in our travels here for the past six years. I have been coming since 1999 when Dr. Stone had the Wesak Festivals here and then four of us came in 2006 to experience Wesak on our own. That is another story and another day…on that trip which helped to mold exactly what I would be sharing with Heathr and Josilyn for the next four days. They had arrived a day later than they thought so we took Steps 1 and 2 and combined them into one day. It worked out really well which means that I could shorten the days if necessary for someone else. We took the ladies to the Dunsmuir City Park which is actually a Botanical Garden by the Sacramento River. It is very beautiful and serene. We arrived about 8:30 in the morning after stopping for coffee so the park was all ours. I explained to them what the program entailed and that this was not for the weak-willed. They would accelerate themselves through their initiation process and that was the ultimate goal of the program. Both of them were ready and eager to do so. The first step of the process is to teach an individual how to raise their vibration into the fifth dimensional frequency. Some people do not understand that our consciousness needs to be raised in our for our body to accept the process. We had devised a visualization that assisted in this process because like any other place, Mt. Shasta can hold lower energies. As a light worker this is essential in the process of fully accepting our Divinity within the body. A simple way of doing so is to fully see yourself going up a spiral staircase counting from 1 through 10. Breathing deeply see yourself going higher and higher until you reach the 10th level. See yourself on the landing and then breathe the energies down into your body. This helps tremendously. I like to mentioin that doing this continually through the day will assist greatly. We then did a cleansing visualization clearing out debris within the four body system. We were then ready to move onto our next location. Hedgerow Falls is also in Dunsmuir. It is a special park with a wonderful Pagoda. 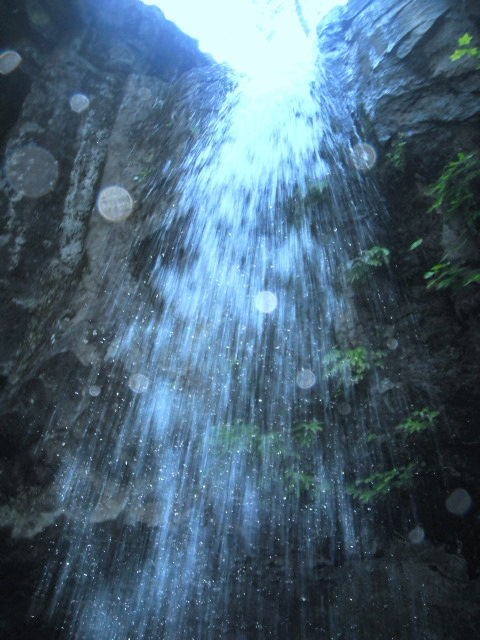 You walk down the trail to the bottom of a cave where a water fall is coming down into the space. You can walk behind the waterfall in the cave; and you can also stand around it, and in front of it. It is lined with boulders, rocks, and trees that make up the foliage. There is also a pathway on the other side. The water that falls into a pool is a portal to Telos. I have seen many faces within this portal previoiusly. The idea of this location is for each person to be in their bathing suit and to stand under the waterfall to completely cleanse themselves. It can be a bit tricky due to the strength of the water falling, the rocks that you have to stand upon, and the coldness of the water. As each of us stood under the falling water, we stated “I RELEASE, I RELEASE, I RELEASE”. We were removing any and all blockages that were keeping us stuck in our movement and pathway forward. It is very important to have your intentions clear on each of the ceremonies so that the Universe and the Team of Light we are working with to fully work with each individual participating. When everyone had cleared themselves, dried off, and put our clothes back on, we gathered together to thank the Spirit Keeper for the use of her land in healing. This is also a very imperative step in working with the land masses. Our original plan was to then travel to Mossbrae Falls in Dunsmuir which is located on the other side of the Sacramento River. We found our way to the entranceway and found that Union Pacific Railroad had closed down the trail. You had to walk down RR tracks and it seems there was a legality issue. I had walked this alone last year in early August, and I found online that it had closed August 10th, 2010. I guess I made it just in time. They are amazing falls but we realized what our first lesson was to be : flexibility. So now we needed to shift gears and we decided that going to the lake to fully immerse ourselves for clearing would work just as well. 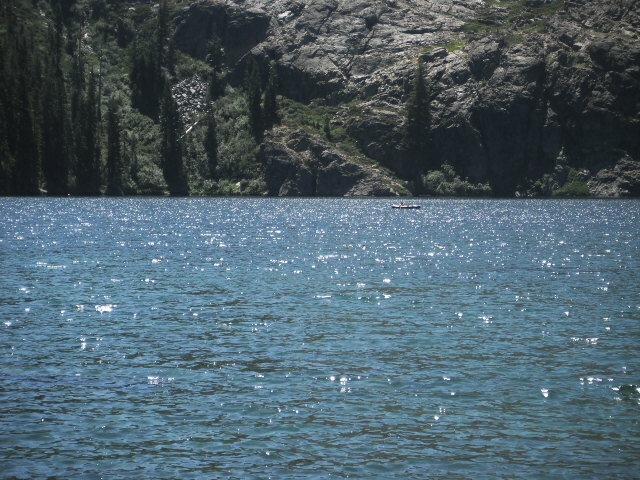 We went on the south side of the lake this time and had a wonderful time swimming and talking with each other. The “noodles” work well for this as they keep you up but you can swim with them. The spiritual lessons continued as we kicked and splashed through the water. Afterwards, we parted and planned to gather on the mountain about 5 pm to perform our Medicine Wheel ceremony. Heathr and Josilyn were camping out at Panther Meadows which worked out great. They found a campsite and we were able to regenerate ourselves. Judy had found an amazing spot the day before which was lined with the Purple and Violet Ray of St. Germain. The Medicine Wheel energies were amazing. We laid grids for Gaia and inserted Amethyst Crystals in each of the directions for the ascension columns to go down into the ground. Again, it was about our intention. Each of the ladies discussed how they were feel thus-far since the clearing session earlier that day. They both felt very vitalized and fully open to experience the next step of the journey. The medicine wheel energies are so wonderful to experience the frequencies of the Earth and all her elements. It is so grounding and helps to connect with the elementals and livelihood of our Dearest Gaia. We then decided to travel up to the summit of the mountain together. It was not quite dark enough to see the ships and stars but we came upon a very interesting facet. 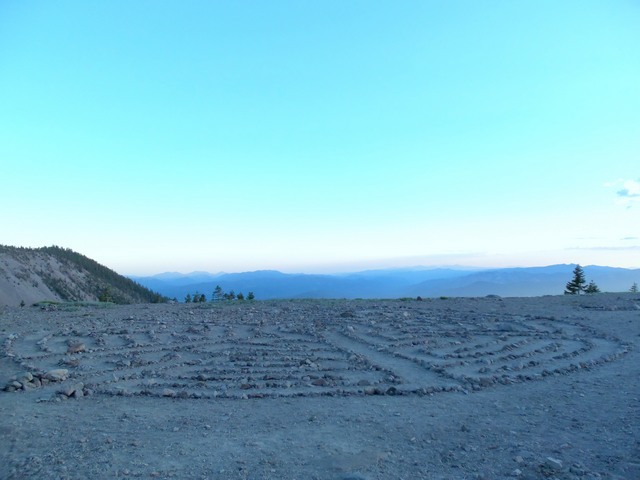 Individuals had made a labyrinth out of rocks. It was very elaborate and each of us walked through the labyrinth stating what we would like to achieve. It took us quite some time to fully get through it but was very powerful. It truly took a lot of hard work and effort along with an ability of design to create such an elaborate labyrinth. It truly was a special gift at the end of a special day together. We dropped the ladies off at their camping area and we traveled back down the mountain to our home base. It truly was a very powerful and empowering day. I am writing this later than I wanted to do so but felt that starting at the beginning was truly what I needed to be doing. That’s how it is here ~ you meet all different kinds of people. Some are passing through, some live here, and some just don’t know where they are going. There are all types of individuals: the hippies, the earthlings, the Telosians, the highly spiritual ones, the Yuppies vacationing in the Mt. Shasta Resort, and the ones that just live on the mountain. Everyone seems to fit in somewhere no matter where you go. Of course, there are a lot of vacationers at this time. Sunday rolled around and Judy was arriving in Medford, Oregon. Turns out she missed her connection flight due to the rain in Philly so she was arriving in Redding, California at 11 p.m. I decided to leave earlier and check out the Trader Joe’s in Redding as the prices are very high here for health food type items. It worked out well except I had to wait for about three hours at the airport. Now this airport is about the size of a small grocery store. No problem parking here; in fact, it cost us all of $3.50 for over three hours. Now in Philly we know it would have been more like $20. It is very different and interesting here with the style of living. Driving back to Mt. Shasta was not easy so I called on my dear ole’ dad in Spirit. The drive consists of windy, mountain roads so it can be tricky but the best part was seeing the mountain in all her glory in the moonlight. It was amazing. I had never seen it from a distance and at that hour. It was quite a majestic moment. We arrived safely and piled into our beds to sleep soundly under the cool mountain air. Sleeping is not a problem at all with these temperatures. It gets warm during the day and can be very hot in the sun, but dry. This is also quite a difference for me. We spent the next couple of days hanging out and doing our usual thing ~ finding a Walmart. Don’t know why this is what we do when we travel as Walmart’s are anywhere and everywhere. But this time I needed to acquire some household items. They are few and far between here so you get used to driving distances. On Tuesday we decided to search out a space for our Lemurian Connection which would be Step 4 of the Acceleration Program. We went towards McCloud Falls which is about 15 miles south in which there are three levels. It took some figuring out around the forest to find the Upper Falls but we finally found our way. McCloudRiveris not wide and we found a wonderful spot about ¼ mile from the falls which is part of the flow of the river which almost seemed like a stream. 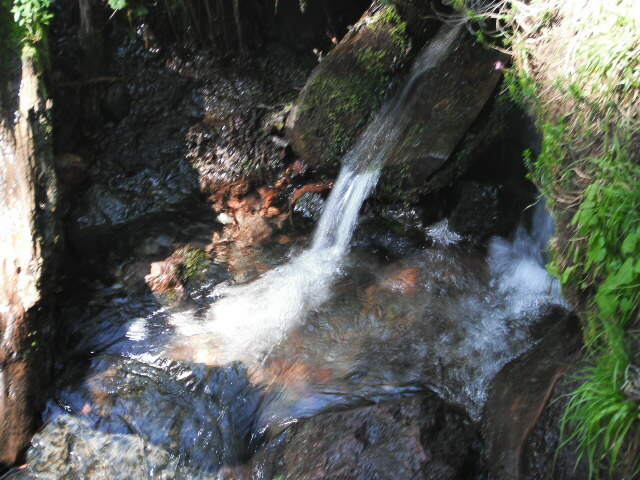 We noticed that there was a portal in the middle of the stream and felt the Saint Germain energies all around us. We knew we had hit the right spot. We took time to do a small ceremony together before we opted to move back to Shasta. Having Judy arrive in Mt. Shasta when she did really helped me. The first ten days I was getting settled into living here, setting up my small space, and just pinching myself realizing where I was living. Then when Judy came, it felt like we were traveling together again, but yet I picked her up at the airport. Very strange feelings indeed. Wednesday we traveled to Redding again as I needed to find a Verizon store. I have been challenged with the internet usage and purchase their mobile modem which in Mt. Shasta does not work as well. I was going to return it but did not realize I was beyond the return date. It is just as well as I really do not have any options here and am feeling that this will be a temporary home for now. We did some more shopping and this area looks like any other shopping in a rural area. Stores upon stores ~ it’s all about finding your way around and making sure you don’t make a wrong turn. That is the biggest challenge. Verizon set me up again by increasing the data speed, so we were on our way after lunch. I have been feeling very light headed every afternoon as I am feeling it is time to just float into the Astral Realm so I suggested that if Judy wanted to go up on the mountain alone, she could have my car. That worked out great; she needed her time with the mountain and I definitely had no energy at that point. Transitioning has been the biggest challenge. I came from an area where it was flat and at sea-level. The altitude has made a difference but not a change that blocks me from anything. Mainly, the sleep issue but of course, that is always my challenge ~ wanting to be in the Ethers than being grounded…Well, that is why I am here; to make sure I stay grounded by being outside. We were now ready to work with the two ladies, Heathr and Joy, that were joining us for Meleriessee’s Magical Pathway to Acceleration. 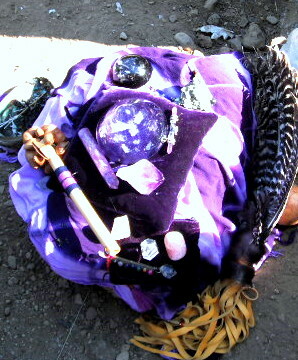 We were meeting up with them on Thursday morning to start the shamanic part of the program. It was a help to have Judy with me as we had done these ceremonies together here for several years which helped me to mold what I wanted to present in the program. Off and running, we were now ready to share our knowledge of the magic of Shasta with them.